Overview: The Hero for Hire, Luke Cage, is back for more cash in the newest Essential volume. Let’s be honest here, being a super-hero is expensive work. Not all heroes get a stipend from the Stark Foundation or live off of the royalties from the patent for unstable molecules to be used to make uniforms. Paying rent, buying food, and replacing those yellow silk shirts torn up in battle adds up quick for a struggling hero. Of course, you have to charge a fee for your services. Luke Cage remains a hero of the people, working out of his office above a Times Square movie theater. He fights a lot of run of the mill one-and-done villains created specifically for this title. Outside of a fight against Moses Magnum in Power Man Annual #1, his villains do not make many, if any, appearances in any other books. As the book comes to an end, Cage finds a lot of familiar faces from his past coming back to confront him. Crossing paths with the kung-fu hero, Iron Fist, Luke Cage is finally able to clear his name, making him a free man for the first time in many years. The two agree that working together benefits both of them, and a new super-hero duo is formed. But like any other story, that is a tale to be continued…. What makes this Essential? : This book is a step up from the first volume, but not nearly as good as it will become with Essential Power Man & Iron Fist Vol. 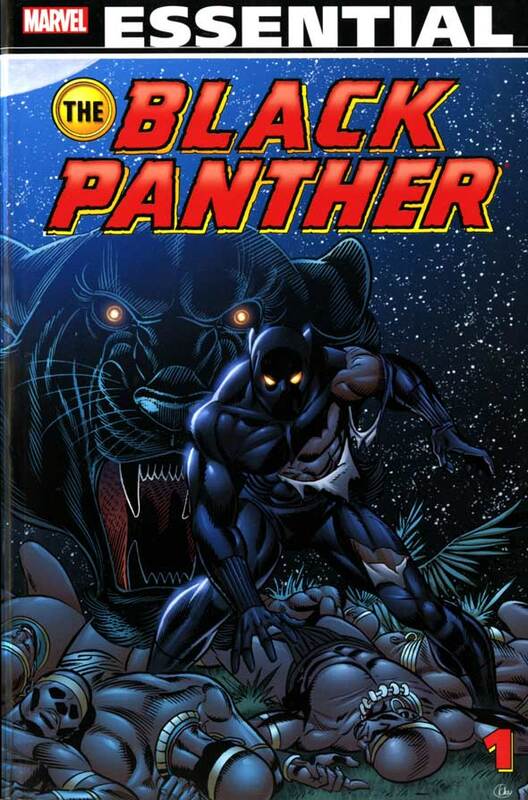 1, The second half of the book, under the direction of first Marv Wolfman and then Chris Claremont, starts to finally find it’s place focusing on an urban hero and not just an urban black hero. The art is serviceable, but not memorable by any means. If you are a fan of Luke Cage, this is worth the read. But I would not consider it essential to have in your collection. Footnotes: Power Man #36 is a reprint of a story originally featured in Hero for Hire #12. The new cover for #36 is included in this Essential. Giant-Size Power Man #1 (1975) is a reprint collection of stories originally featured in Hero for Hire #14 to #16. 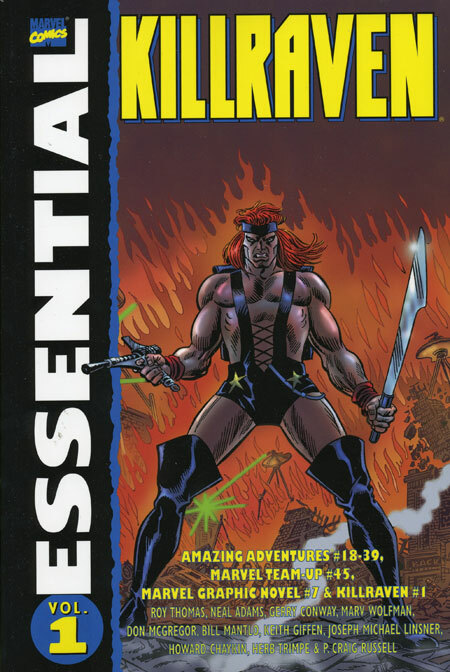 The cover is included in this Essential. 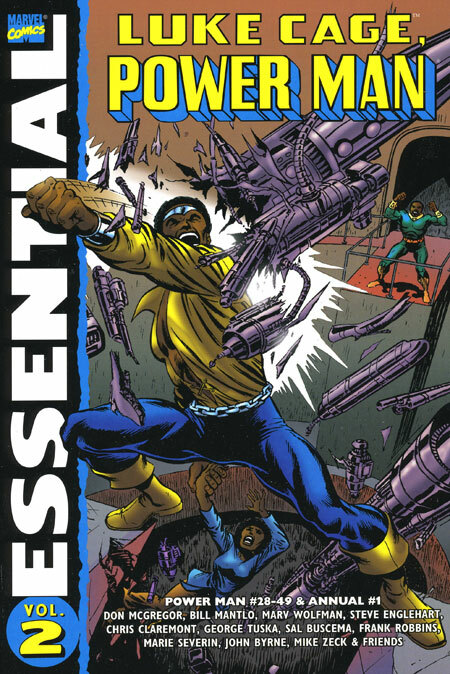 Power Man #48 and #49 are also reprinted in Essential Iron Fist Vol. 1. If you like this volume, try: the New Avengers books from the last decade. When Brian Michael Bendis relaunched the Avengers in the mid-2000s, he brought in a new line-up (Luke Cage, Spider-Woman, Spider-Man, Wolverine, and others) to fill the spots around Captain America and Iron Man. At that time, Luke Cage had become a peripheral character in the Marvel Universe, brought to an event to help fill out the background of a large super-hero crowd scene. Over the run of the New Avengers title, Luke Cage became one of the core members of this line-up, to a point where he became the team leader. New Avengers ruffled the feathers of a lot of long-time Avengers readers, but the non-traditional line-up allowed for some interesting storylines. This has been collected multiple times in trade paperbacks, hardcovers, and omnibus editions, so it should be easy to find these stories.